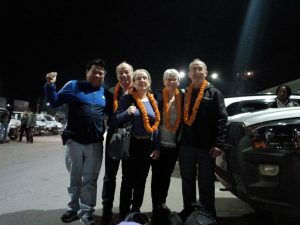 - George and Rose Schibli, Canada, 23 April 2018 - BOUNDLESS HIMALAYAS TREKKING & EXPEDITION (P.) LTD. Thank you very much for being a part of our trek of a life time. Chandra, JV, Rj were fantastic and despite it being very difficult walking at times we were well taken care of.